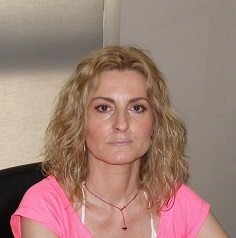 Aikaterini Ziaka has completed her bachelor degree on Physiotherapy at Alexandreio Technological Educational Institute of Thessaloniki (A.T.E.I.Th.). She completed her MSc at University of Thessaly and her research was “The differentiation of postural control by manipulating visual perception through prism adaptation”. She is a pediatric therapist over 28 years period and she specialized in NDT-Bobath method. She has been at A.T.E.I.Th. as lab assistant professor in neurorehabilitation for 11 years. She completed her studies on Orthopedic Manipulative Therapy Diploma in 2016 and she is an OMT therapist since. She had many publications and she always remains informed on neurorehabilitation. She owns a physiotherapy lab, named Physio4you, since 2012. From the beginning of her career she was exclusively devoted to children and their deficits. She is married with 2 children.